When you think about all the print advertisements and other signage fighting for our attention day-to-day, it’s hard to remember there was ever a time when signs were only made by hand. 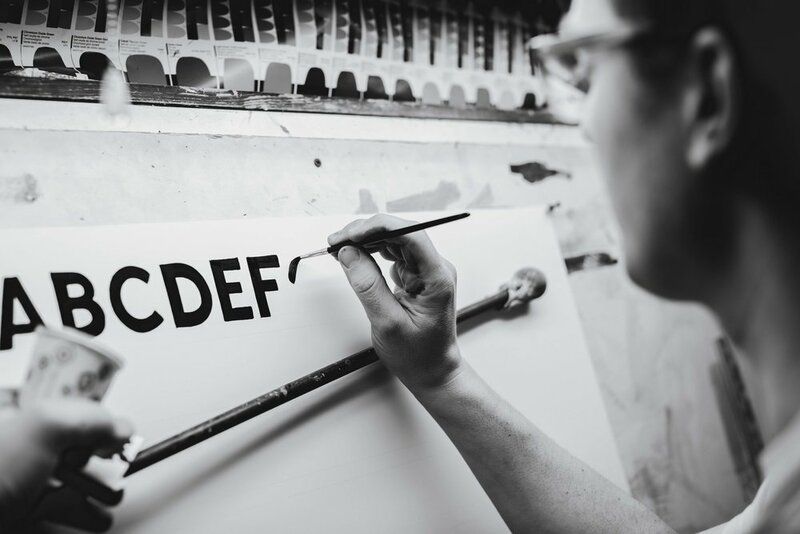 I met up with Colt Bowden of Mac Sign Painting who is working to keep this age-old art alive. I first met Colt at a lecture he gave with Hand-Eye Supply’s Curiosity Club, which is a series of talks about pretty much anything and everything. Colt not only knows how to paint a sign, but he knows a chunk about the heritage and history of sign painting too. 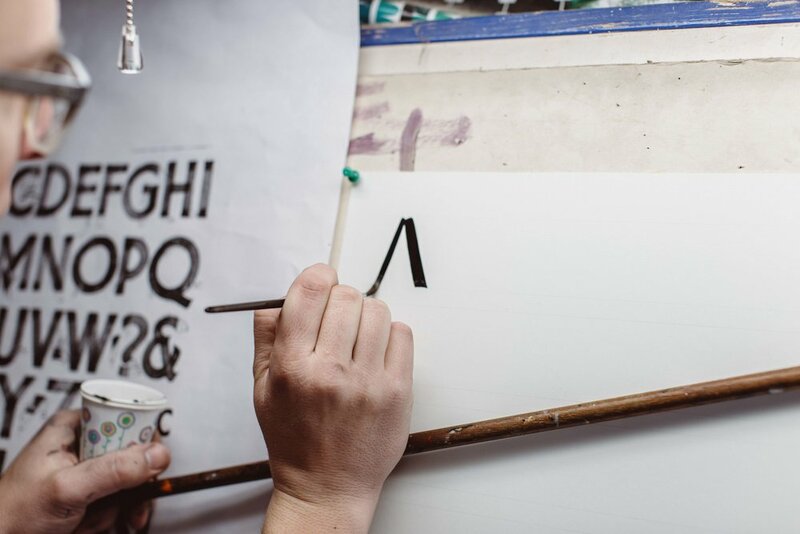 Although Colt had just finished up a series of truck doors, he was taking it back to the basics by practicing his Gothic Alphabet, only tracing a few guide lines and free-handing the rest. I jokingly asked for him to make me a sign, and in a few minutes he had nearly finished it. Colt is currently apprenticing with Northwood Signs in Carlton, OR, which is where this shoot took place. Stay tuned for more pictures of on-location jobs that Mac Sign Painting has coming up in the warmer weather.